We’d love your help. 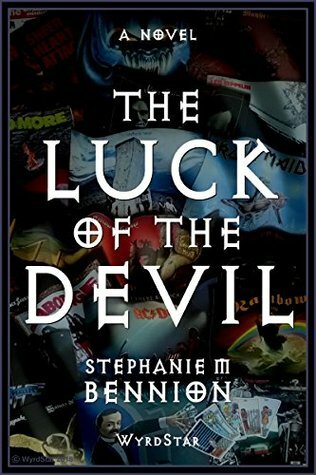 Let us know what’s wrong with this preview of The Luck of the Devil by Steph Bennion. Susan Jones, a transgender woman struggling to get by in the economic woes of 1990s Britain, is under the care of psychiatrist Doctor Mordussen. He in turn is obsessed by her disturbing nightmares. But are her demons real? An unexpected road trip to Ireland awakens traumas of the past. A seventeenth-century sorcerer, evil nurses, a castle reborn from the ashes and a bloodt Susan Jones, a transgender woman struggling to get by in the economic woes of 1990s Britain, is under the care of psychiatrist Doctor Mordussen. He in turn is obsessed by her disturbing nightmares. But are her demons real? To ask other readers questions about The Luck of the Devil, please sign up. Steph Bennion is a writer and musician, born and bred in the Black Country but now living in Hastings, England. Her science-fiction stories are written as a reaction to the dearth of alternative heroes amidst bookshelves swamped by tales of the supernatural. For every aspiring vampire or wizard, the world needs an astrophysicist, an engineer, or at the very least someone who can make the trains ru Steph Bennion is a writer and musician, born and bred in the Black Country but now living in Hastings, England. Her science-fiction stories are written as a reaction to the dearth of alternative heroes amidst bookshelves swamped by tales of the supernatural. For every aspiring vampire or wizard, the world needs an astrophysicist, an engineer, or at the very least someone who can make the trains run on time.